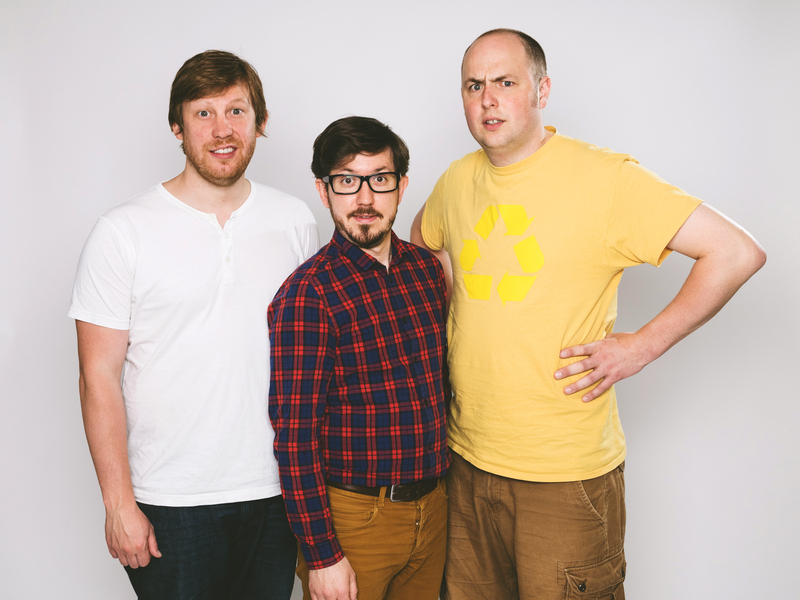 Pappy’s are Britain’s best live sketch team. 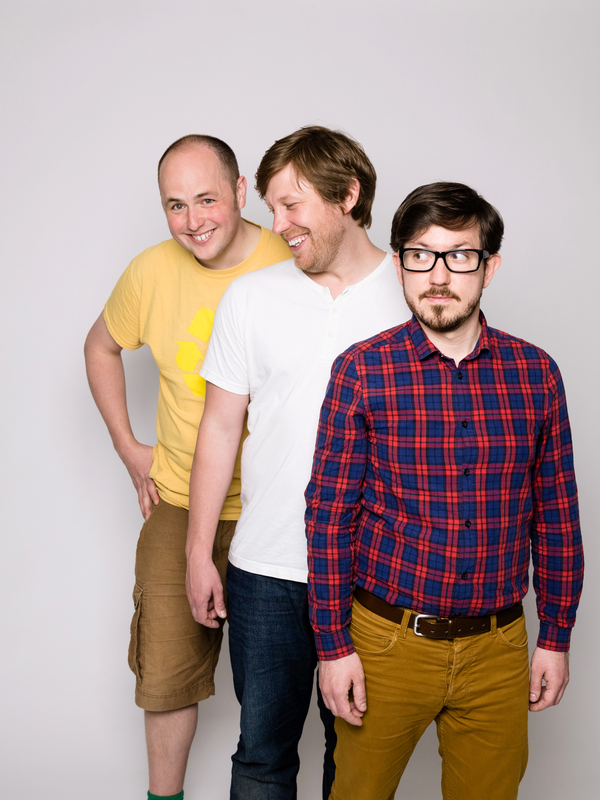 They have been nominated twice for Best Show at the Edinburgh Festival (2007 & 2012); twice won the Chortle Award for Best Sketch Performers (2008 and 2013); and their hit podcast, FlatshareSlamdown, won a Loaded Lafta Award (2012). 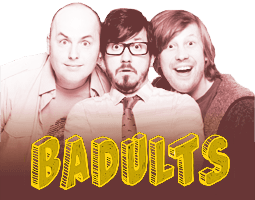 They have also been seen in their own studio sitcom, Badults on BBC3. This has just been renewed for a second series. 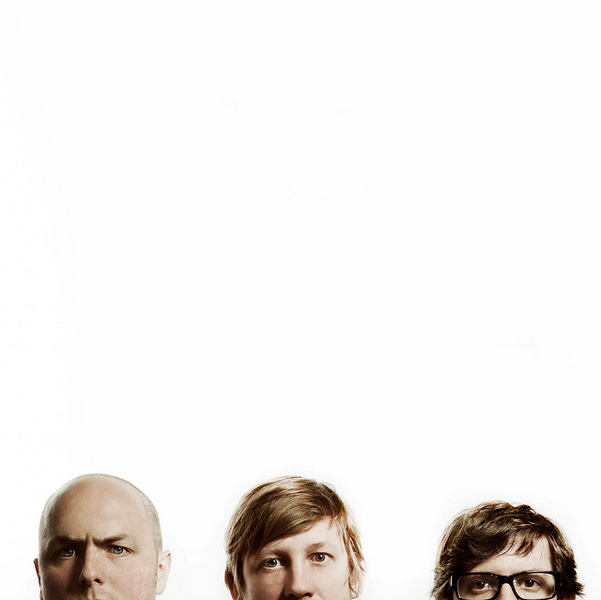 In 2012 they completed their 4th national tour; selling out venues up and down the UK with their show, ‘Last Show Ever’. The show garnered nine 5 star reviews and earned Pappy’s their second Edinburgh Comedy Award nomination for Best Show. Shortly after being nominated for Best Show in the 2013 Chortle Awards, it transferred to London’s West End for a month-long sell-out run. The tour has been extended to take in new dates this autumn. Over the last two years they have launched two hugely successful podcasts. Pappy’s Bangers & Mash was names iTunes best new comedy podcast and Pappy’s Flatshare Slamdown was won the Loaded Lafta for Funniest Podcast and was nominated in the Best Internet category at this year’s Chortle Awards. Individually they have been seen on 8 Out Of 10 Cats, Miranda, Never Mind The Buzzcocks, Phoneshop, Meet The Parents, Animal Antics and Watson & Oliver. Outrageous, ridiculous, and with an anarchic streak, Badults follows flatmates Tom, Ben and Matthew on a series of adventures that lead them to the brink of death, imprisonment, or even worldwide fame. As children, Tom, Ben and Matthew made a pact that their gang would live together when they grew up. Now in their late 20s, they find themselves doing just that. But this isn’t a conventional flatshare. Instead it’s a springboard for a series of unexpected schemes: transforming the flat into a pop up restaurant, launching a new dance anthem into the charts or re-enacting the French Revolution (to list just a few). Also in the show is Matthew’s sister Rachel (played by Emer Kenny), and their boss Carabine (Jack Docherty). Buy Badults on DVD here! Watch Badults on Netflix here!